Suitable for the entire family, even as young as 12 months and up. Everybody love snacks but snacks don’t have to be naughty. Thanks to our Chemical Free Brown Rice Patissier, made from chemical free brown rice and filled with real cheese goodness, this healthy eco-friendly no junk guaranteed snack is sized just right, so everyone on-the-go can snack anytime anywhere. Uses only Chemical Free grains grown without using chemical pesticides. Non-Fried – pressure cook thus no oil and low in calories. Designed in a stick shape for toddler to practise their fine motor skills. Conveniently packed with resealable zip lock bag. Perfect size to bring along as shopping, dining or traveling snacks. Suitable for whole family from 1 to 100 years old. Gently melts in your mouth! Keep tightly sealed in a cool dry place, out of direct sunlight. 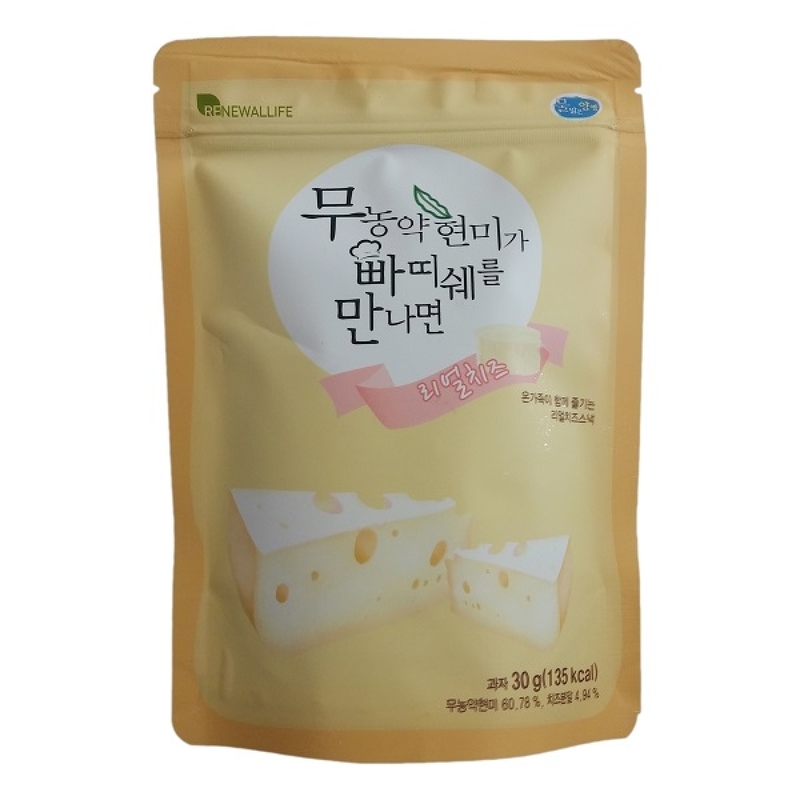 Renewallife is located in Yangpyeong, South Korea which is known as an Eco City – a rich farming land that produces safe and eco-friendly agricultural products. Made with the finest chemical-free and pesticide-free fresh produces from Eco City, Renewallife creates tasty combinations of wholesome ingredients that are indeed like no others. Renewallife puts all its efforts into improving people’s health through nature-based management – including you and your loved ones.